Poppies and Ice-cream: The snake is here. Yesterday marked the beginning of a new year, the year of the Snake, according to the Chinese calendar. Something in me yearns for marking new beginnings and hopes for new energy, new life, new starts. Yesterday also marked the day when the boy first came to visit me in Barcelona, 5 years ago, and it's also the day when we got engaged (3 years ago). We wanted to celebrate. 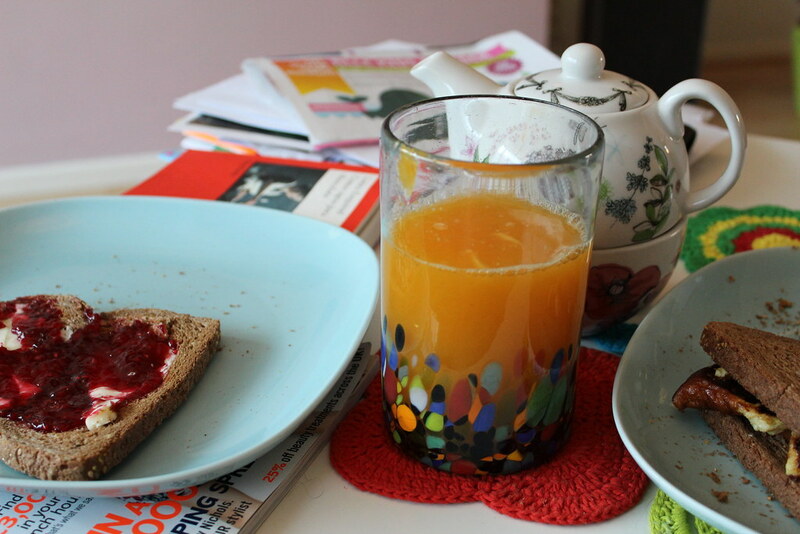 We started by making each other our favorite breakfast (the boy made orange juice and raspberry toast for me, I made tea and an omelette sandwich for him). 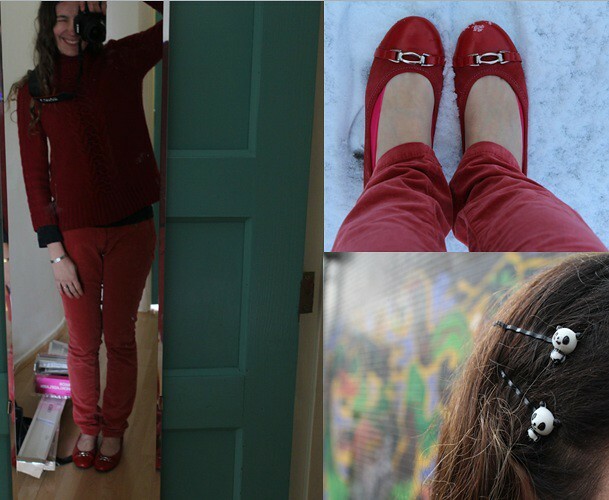 I dressed all in red (from head neck to toe, including ballerinas, even if it was kind of freezing) and I wore little panda-bear barrettes for luck. 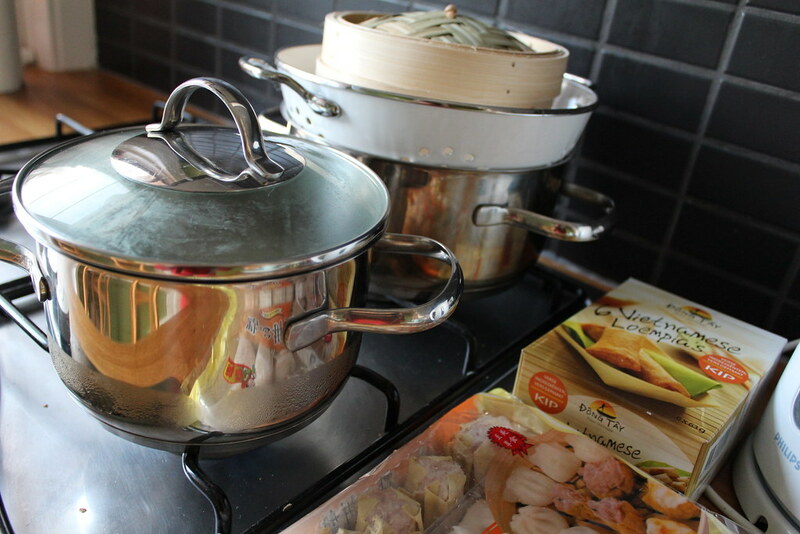 The boy cut his hair, on Saturday we cleaned and cleaned and cleaned (but made sure not to remove the tiniest speck of dust on Sunday) and I prepared a Dim Sum, white rice and spring rolls meal to make it special. By accident, when we went to the Asian supermarket we found a graffittied snake in the parking lot, that I had never seen before even though we go to that same parking lot all the time. I love coincidences like this (I know it probably means my brain is more aware / perceptive to whatever it is I'm concentrating on at that moment). Today also marks my sister's first wedding anniversary. I hope, again, this year will bring joy, love, happiness and life to all of you. Did you do anything special? I love that you wore all red! We cleaned on Saturday but more because the flat was a state than because I'd remembered it was Chinese New Year! We had dinner with friends and did remember to toast to the new year with champagne but that's about all. 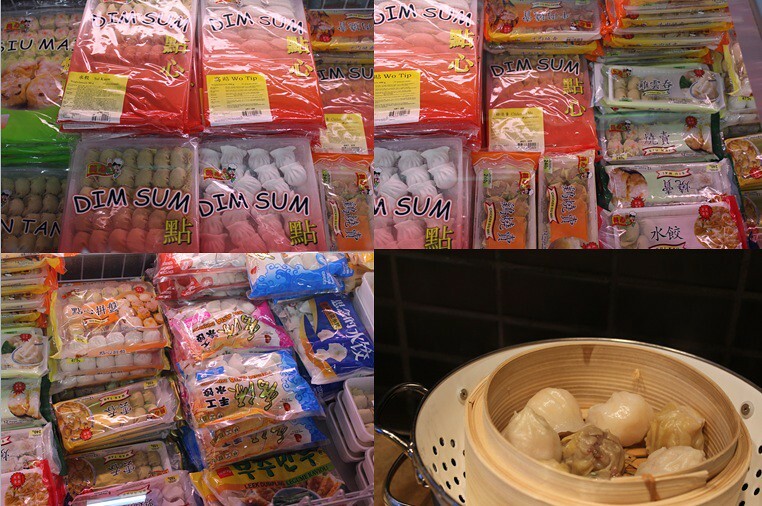 Maybe I'll make some dim sum this week. 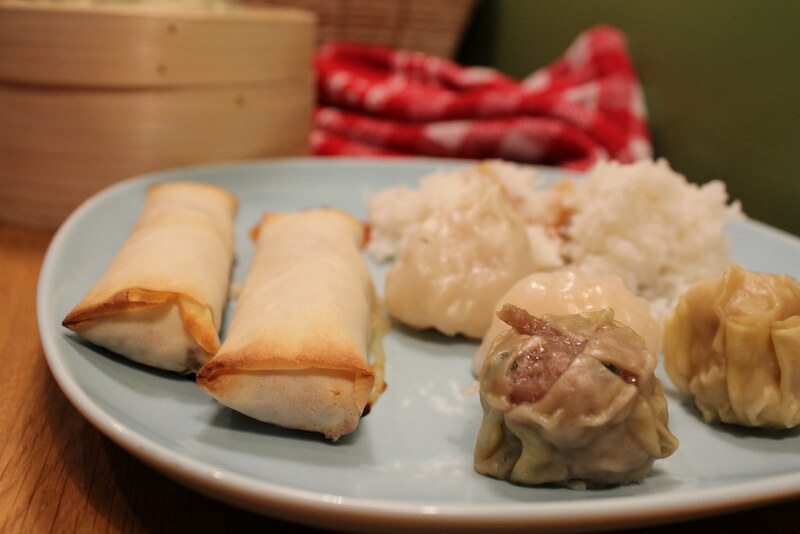 We started making prok & prawn gyozas last year and they're easy and delicious! Oh well, champagne is always great. And Homemade gyozas sound great, if you make them do share the recipe ! Sounds like you guys had a ton of fun! I love celebrating the smaller special days in a relationship and it's really cool that you have two falling on the same day. I spent Chinese New Year shoe shopping for a dear friend's wedding with the rest of the bridesmaids and then just hanging out. Nothing really celebratory of the day's significance but an awesome day in and of itself. And actually, shoe shopping on Chinese New Year is totally a good omen (getting new clothes, new shoes or cutting your hear are supposed to bring good luck). SOunds like fun too :) Hanging out with friends is the best. Wow, what a beauiful day you had! I did actually celebrate last year, but this year we had other things going on and it didn't happen. I think I see the makings of a lovely tradition in your house though!! Yeah, we always do small special things on days like this even if it is just a breakfasat date or a walk in the park. Thinking of you. I really want to try the tangerine beef! One of these days. That's a lot of tiny celebrations I love it. I washed my hair too yesterday, and I did use knives (cooking counts? and scissors....) . I still have to vacuum. And champagne is always welcome! I love that you randomly found the serpent graffiti. So serendipitous. I thought of your blog post today (yes I read without commenting this morning), because I was at a meeting at a school and the principal was handing out "Lucky Candy" to celebrate the new year. qué romántica la idea de hacer el desayuno favorito de cada quien! bueno, es que a mí me encanta toda la comida de desayuno (waffles, hot cakes, omelettes, mermeladas, frutas...). Nosotros pasamos el día preparando maletas, despidiéndonos de mi familia y llorando (yo, jeje). La comida del desayuno es la mejor, creo que yo podría vivir de desayuno! Wow, así es que ya están... del otro lado del mundo? Ha comenzado la aventura? (Que difíciles son las despedidas, yo también, siempre lloró al irme de México).